For decades, Kampala has raced to keep up with its own rapid growth. Set alongside Lake Victoria, the Ugandan capital more than quadrupled in physical footprint between 1991 and 2012 as population doubled to 1.5 million people. One of Kampala’s biggest challenges is providing the basic services urban residents need as the city expands, like water, electricity and roads. Infrastructure projects launched in the 1990s were an improvement but still left many of the city’s poorest residents underserved, alienated and fending for themselves in inadequate, costly or environmentally damaging ways. Sewage and sanitation, in particular, were in poor shape. A new case study in the World Resources Report, “Towards a More Equal City,” chronicles how the city advanced sanitation by putting the needs of the poor first. 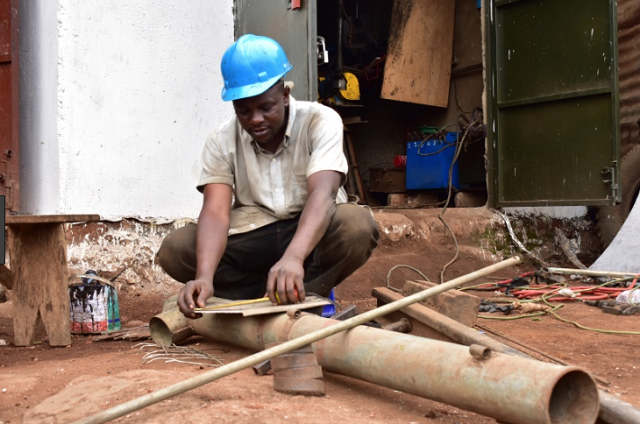 After 15 years of reforms, an innovative, decentralized system backed by the utility and local government in Kampala now treats 32 times more human waste than previously. Only 10 percent of Kampala is hooked up to sewerage lines, leaving the majority of residents to rely on pit latrines they dig themselves. The municipal sanitation utility is only responsible for the sewer connections and does not provide any emptying or construction services for pit latrines. Without collection and treatment services, households often open their latrines during the rainy season to flush out untreated waste. The result is a polluted and deadly urban ecosystem. Three cholera outbreaks from 1997 to 2015 were directly linked to poor sanitary conditions. Across Africa’s growing cities, many neighborhoods have been settled without prior sanitation hook-ups or any provisions for this. It can be difficult to install sewers due to the politically tricky task of displacing communities – even temporarily – for construction as well as the high costs of such improvements. 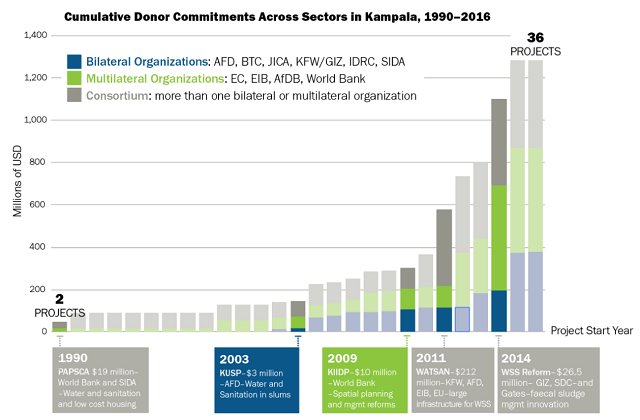 Beginning in the early 2000s, Kampala began to implement a new approach. Instead of focusing on increasing sewerage connections as the only measure of success, the city began recognizing and supporting any pit latrine-alternative that was cleanable, reusable and emptiable. One example of the city’s response to poor communities with a predominance of pit latrines was supporting the use of a system called “the Gulper,” a portable vacuum pump that empties sludge from latrines into drums. The drums can then be safely transferred to larger tankers for disposal at treatment plants, giving residents a cheap and accessible alternative to flushing the latrines out themselves. The Gulper helped meet the needs of the poor, meeting them where they are – in unplanned, relatively inaccessible areas for standard waste collection methods, like vacuum trucks – instead of requiring them to acquiesce to the city’s limited and constrained system. By supporting innovative technologies and moving towards a “pro-poor” solution, Kampala is improving sanitation for more residents. With the help of the Gulper and other alternative innovations such as the EcoSan toilet and prepaid water connections hooked up to communal toilets, Kampala now treats 81,000 cubic meters (about 21 million gallons) of human waste annually – a little more than the capacity of 32 Olympic swimming pools. And these gains were achieved despite only a negligible increase in homes connected to the sewer. 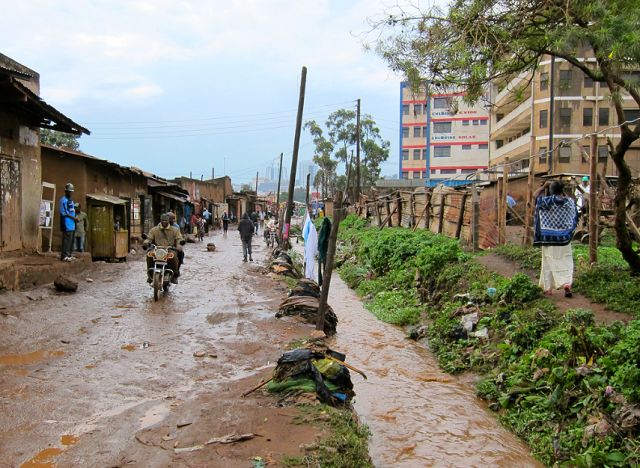 Alongside a more decentralized communal sanitation system, Kampala instituted other pro-poor solutions. The central planning organization, the Kampala Capital City Authority, charged with improving customer satisfaction and service delivery, began to reach out more directly to residents for feedback. The city’s planning department visited neighborhoods for “planning bazaars,” for example. The combination of new approaches and opportunities for direct engagement is changing residents’ perceptions of the city and their own place in it. People are starting to trust the city authority because they see that their concerns are being heard and the city is doing something about it. Some have given up land to build wider roads that improve accessibility and planted trees to improve air quality and provide shade. Decentralized sanitation and more participatory planning are different from other urban development approaches because they both treat poor residents as stakeholders – as potential partners in solving the city’s wider problems. What Can Other Cities Learn from Kampala? The goal of the city’s more inclusive standards and approaches was to deliver results without relying on traditional and expensive fixed infrastructure, and it has achieved that while also preserving and enhancing the existing social fabric that binds communities together. Kampala’s new challenge is to make sure its collaborative approach between the city government and residents develops into a citywide vision for sustainable sanitation (the city does not yet have full coverage) and sustainable development generally. It was the collaboration between government, small businesses, community groups, and the National Water and Sewerage Corporation that led to the Gulper and other pro-poor innovations that have improved service provision. But the long-term impact of some of the sewerage projects is not guaranteed because the city depends on funding from private donors and multilateral banks. And since funding and ownership of projects is fragmented, information sharing between stakeholders has been limited and has led to duplicative and costly efforts in some cases. How Kampala knits these efforts together and brings quality coverage to the whole city will certainly provide lessons for cities across the globe. What is clear is that there is much to learn from what they have already achieved. “Kampala: Rebuilding Public Sector Legitimacy with A New Approach to Sanitation Services” is part of a series of city level case studies that describe actions towards transformational change in cities of the Global South. Other city level case studies include Pune, Ahmedabad and Porto Alegre. Adna Karabegović was Project Coordinator, Research Tools and Economics Team at WRI Ross Center for Sustainable Cities.